Kinvara minor hurlers suffered opening round defeat in the minor hurling championship game played in Faiche Padraig earlier this evening. It was a spirited performance by both sides and credit to the Kinvara lads who are a very young side. In fact only one player (captain David Burke) is overage next year, while 10 of the starting 15 are underage for U16 this year. In fact one third of the starting fifteen are actually U15 this year. Putting that into prospective never has so much been asked of younger players and they surely stepped up to the mark today. The game started point for point, with Rory Cullinane pointing early frees for Kinvara, with also Ronan Kilkelly and Conor Whelan popping over nice points from play. However a strong break, good shot, good save by Daragh in goals, was rebounded out to the Kiltormer corner forward who blasted to the back of the net. This undid the hard work by Kinvara, but they responed with four points frees from Rory Cullinane, after Daragh Flaherty, Ronan Kilkelly, Nessan O'Hanrahan and James O'Hara were fouled. Half-time Kinvara 0-8, Kiltormer 1-4. Kinvara now were playing up the field in the second half, but failed to get the all important early scores. However a long dangerous ball in from Kiltormer midfield broke to their full foward and he struck a vital goal for the visitors. Kinvara replied with a pointed free and piled on the pressure. However several scoring chances were scorned and not taken and this proved to be the difference. Overall this was a big step up for our U15 players but they did not disappoint. They will have learned from the experience and will benefit from this. (The game is played a lot faster and tougher than U14 last year!). At fullback David Burke had a towering display especally in the second half. Outside him at centreback Eanna Linnane fielded and cleared very well. Cornerback Rory O'Dwyer did very well, while in the opposite side Stephen Bermingham did little wrong. On the wings, Caolan MacMahon was one of the better players, while Shane Byrne also played solid. In midfield and in the forwards, all lads worked hard and played some lovely hurling at times. Next up is Portumna in a fortnights time. Hopefully both Jason O'Connor and Conor Morgon will be fit, while Arthur Gordon is also injured - three lads you could do with. Room for improvement? Well yes. Manager Noel Bermingham and coaches Ollie Bergin, Alan Leech and Brian Carroll will have noted the weaknesses in the play and will be looking for improvements in areas such as the tackle and under the high ball. Not a winning start to the year, but a promising one! Finally credit to Kiltormer for a sporting game that was played in good spirit. We wish them best of luck in rest of championship, and who knows, we may meet them again. 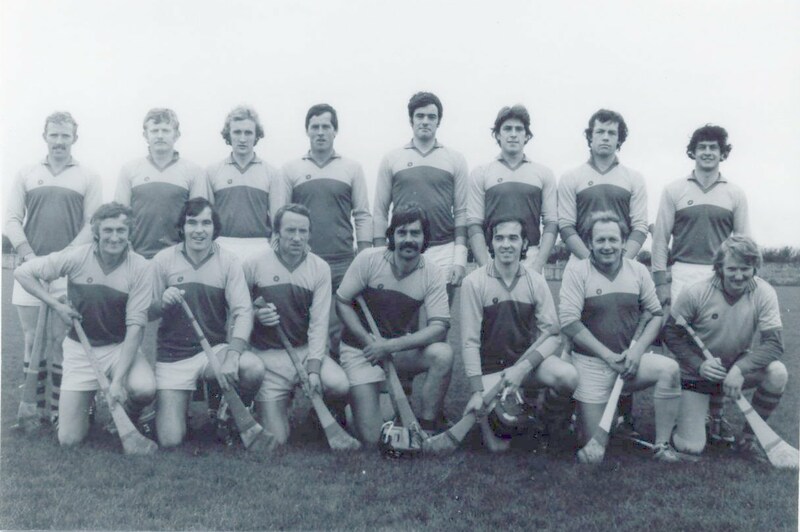 Daragh Kilkelly, Stephen Bermingham, David Burke, Rory O'Dwyer, Shane Byrne, Eanna Linnane, Caolan MacMahon, Rory Cullinane, Philip McNamara, Tadhg Reynolds, Nessan O'Hanrahan, Conor Whelan, Daragh Flaherty, Ronan Kilkelly, James O'Hara. Subs: Dylan O'Hanrahan and Dylan MacMahon.